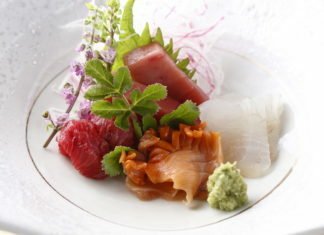 Explore the foods of Yamanashi! While food undoubtedly is an essential need for humans, it can be viewed as a channel for us to understand the local tradition. Especially in Japan, each prefecture has their own representative foods. 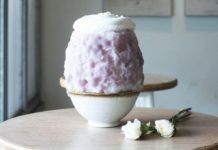 Let us look at the scrumptious food Yamanashi prefecture has to offer! Houtou noodles, a popular regional dish originating from Yamanashi, Japan. Noodles are made flat, thick stewed with vegetables in miso soup. Vegetables used along with the noodles vary from season to season. In the summer, scallions, onions and potatoes are added. During the winter, taro, carrots and Chinese cabbage are the main vegetables. Chicken or pork can also be included. 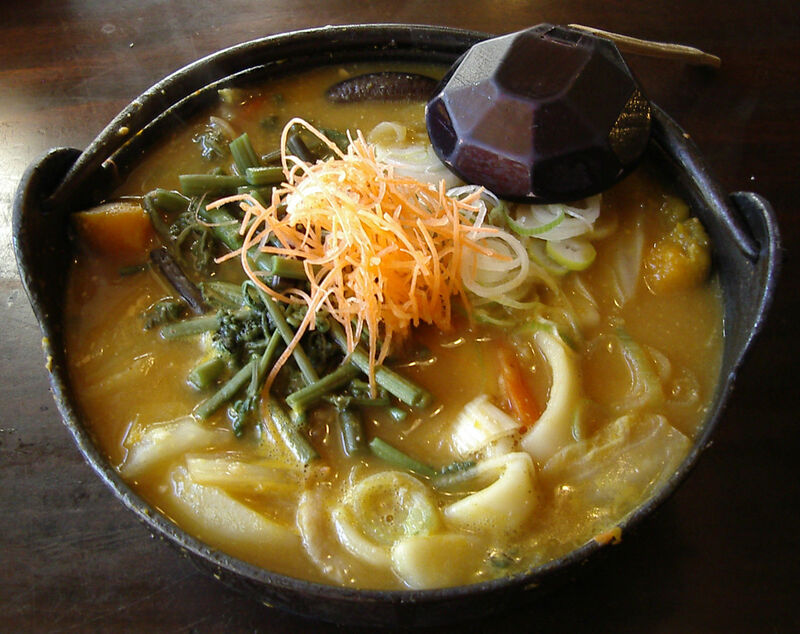 During the winter solstice eating houtou with Japanese pumpkin is extremely popular. 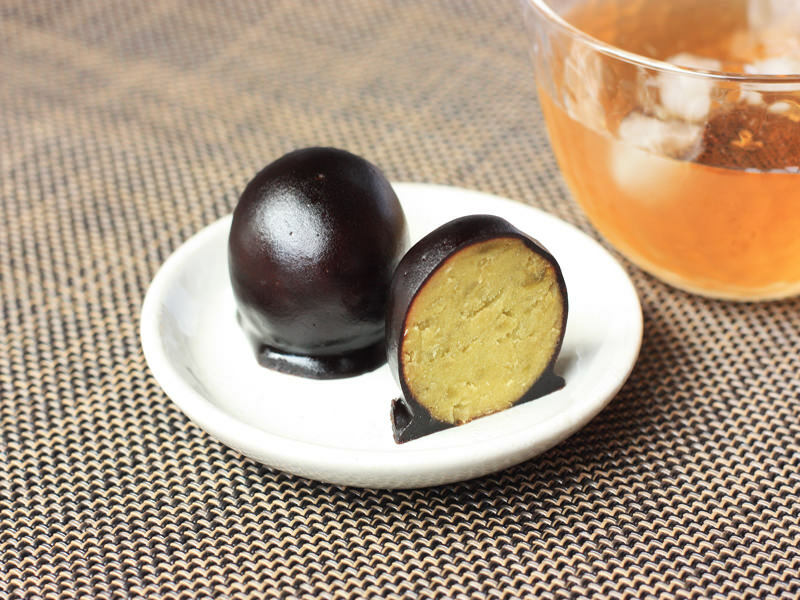 Kurodama is categorised as Japanese confectionery that originates from Kofu city. The sweet green pea paste is covered by a layer of Azuki-bean jelly and coated with sweetened muscovado sugar. Flavours consist of mild sweetness each ingredient compliment each other well. Since Kurodama is only available in Yamanashi prefecture, remember to try it if you have the chance to go there! 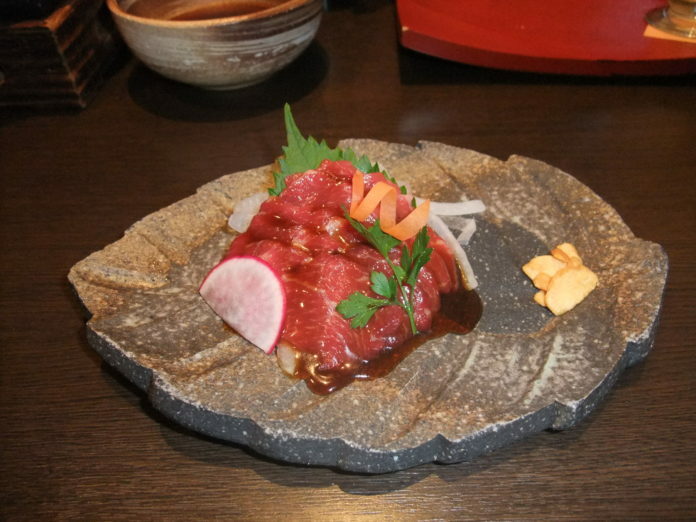 Horse meat sashimi – basashi, is sometimes referred to as sakura niku. Horse meat has low calories, high protein, and a rich amount of iron and mineral. Filled with nutrients, it is soft and chewy, making it a popular delicacy among the people of Yamanashi. Basashi cuts include fatty meat, marbled meat and lean meat. 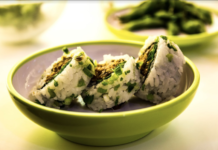 Served fresh alongside seasonings like wasabi, soy sauce and garlic. Yoshida city in Yamanashi prefecture is well-known for using pure Mount Fuji water to make their noodles chewy and firm. While they typically use miso as broth for this dish, they do sometimes make it a mixture of miso and soy sauce. The version of udon varies from shop to shop. 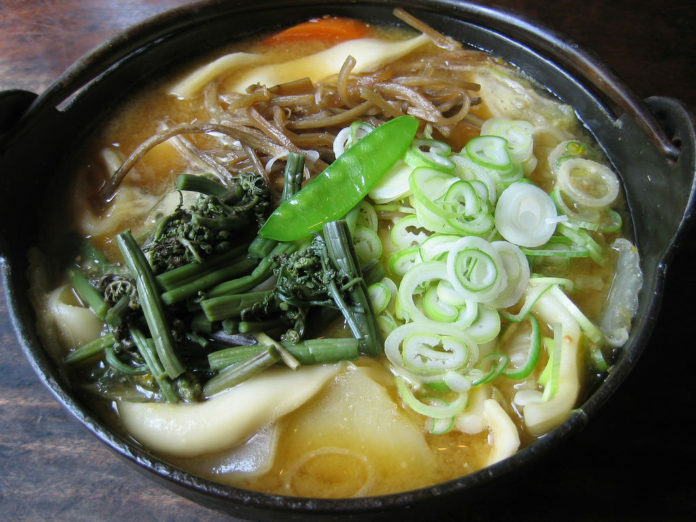 Niku Udon (horse meat) is a staple and there are also other options which are chilled Tanuki udon topped with radish and deep-fried flour dough, and Nabeyaki udon (in vegetables stew).